The costs involved with purchasing new tires and having them installed on your vehicle has fluxed constantly for the past several years. This is due to a number of factors, involving the continual complication of car tires, as well as changes in manufacturing and safety regulations. For example, certain states have already begun to phase out lead wheel weights, owing to the health implications of the lead material. ​There has also been a steady introduction of new required features by law, including tire pressure monitoring. Other aesthetic features can also inflate prices, such as larger rims, larger tires, deeper treads and so on. 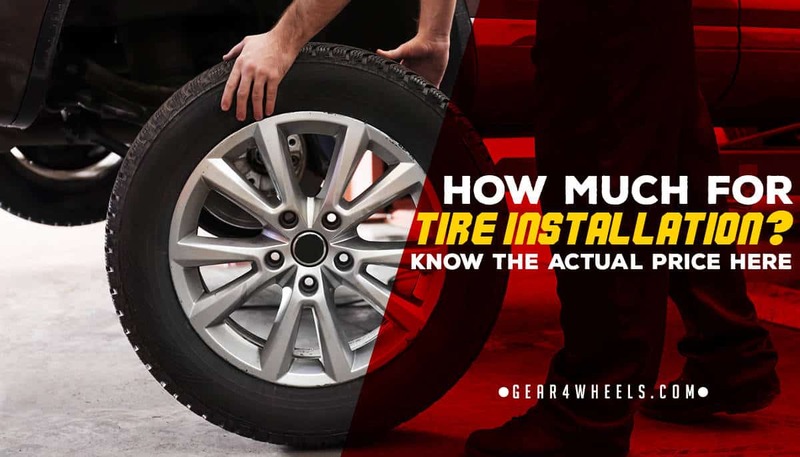 In some cases, this doesn’t just inflate the cost of the tires, but the complexity of the installation process. Mounting refers to the process in which the tires are installed onto the wheel rims, and balancing refers to the addition of weights that ensure that the wheel weighs the same capacity around the whole circumference of the tire. These parts of the installation process vary quite widely based on the type of car being worked on, be them cars, small trucks, SUVs and so on, but tire size also plays a part in the calculation of costs. On average, you can expect to pay approximately $13 to $45 on a per-tire basis, across the industry, though there could be small variations. If valve stem replacements are required, then you can expect to pay a surcharge that varies massively depending upon vehicle age. Thankfully, this is not always going to be a requirement. Whereas with regular tire valve stems you might have needed replacements every time you changed your tires, TPMS stems are modular and are only required to be replaced if they develop a fault; the modular nature also means that they can be replaced without replacing a whole tire. For most vehicles produced prior to 2007, you're looking at around $2 to $5 per standard stem. Conversely, for vehicles produced after 2007, you're looking at a whopping $100 to $150 per sensor, thanks to the introduction of TPMS, or Tire Pressure Monitoring Systems. Of course, when purchasing new tires and having them installed, you're going to need to safely dispose of your old car tires. These products are classed as hazardous waste, since they're manufactured from petroleum, a highly flammable material. The cost for disposal can vary depending on whether you dispose of them yourself or pay a dealer to get rid of them for you. On average, you should expect to pay approximately $2 to $6 for each tire disposed of, depending on the above factors. When a tire dealership offers you a wheel alignment at an extra cost, it may be tempting to decline, particularly considering that it's often quite pricey. However, you should always get a tire alignment after replacing your wheels. The long-term cost associated with not doing so can be severe; a car with misaligned tires will burn through that new rubber at a far quicker rate, putting you quickly back at square one and requiring yet another new set of tires. On average, you can expect to hand over approximately $90 to $150 for the cost of an alignment, with the higher end of the range applying to more complicated vehicles. Many tire dealerships now offer something called a Road Hazard Protection Plan. Essentially, this is a form of insurance that covers your new set of tires for damage caused as a result of road-based impacts or occurred while driving on a badly maintained road. These types of impacts might include deep potholes, punctures from sharp materials, or other impact-based damage or tearing. Price can vary wildly, as many plans are created, and price points determined by the company that offers them. Whereas many will be underwritten by larger insurance companies, smaller companies may charge higher premiums, or may have more difficult pay-out criteria. On average, you can expect to pay approximately $50 to cover a new, full set of 4 tires. However, this is not an absolute requirement and you can decide whether you think an insurance plan is necessary. To summarize, you should never assume that the cost of replacing all your vehicle’s tires is a fixed price, or that it only includes the cost of the tires themselves. There are other expenses to plan for, and these can all vary depending on the make, model and age of your car or truck. If we were to assume that you were charged the low end of the range from each of the above expenses, then once you factor in an average priced set of new tires, you’re easily looking at around $500 to $600 or more. This can scale rapidly if you have a Tire Pressure Monitoring System or opt for an expensive insurance plan for your new tires.